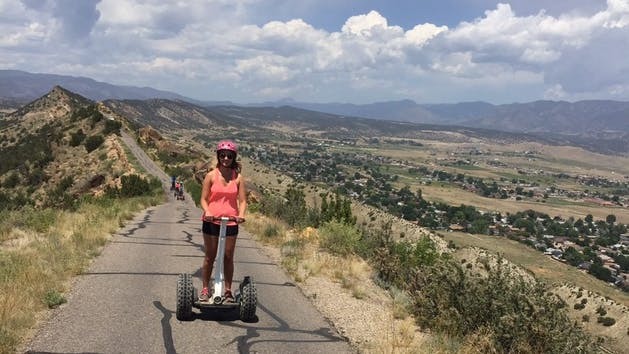 The Canon City SEGWAY PT Tour is for the rider that is not too keen on heights but enjoys a nice relaxing tour in a small town. After your training and practice, you and your guide will head to the historic and picturesque town of Canon City, Colorado. Your trip includes a ride down Main Street in Canon City, The Robison Mansion, “Old Max,” the Colorado Territorial Correctional Facility, The Royal Gorge Route Train Depot, The Royal Gorge Museum & History Center, Centennial Park, and the Arkansas River. This adventure is only $79 per person for 90 minutes of fun! 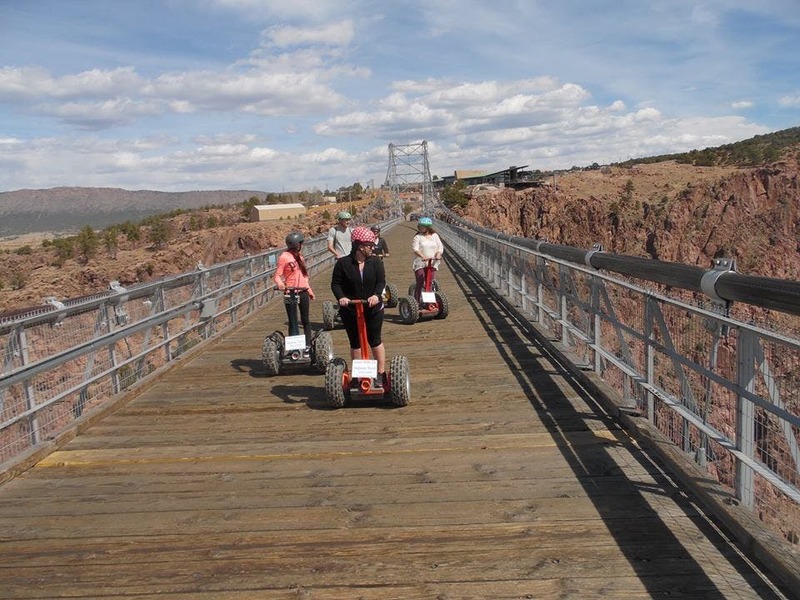 The Royal Gorge Bridge and Park SEGWAY PT Tour rides across the highest single span suspension bridge in North America, spanning 1,260 feet across the Royal Gorge and 1,053 feet over the Arkansas River below. The park encompasses the grounds on both sides of the Royal Gorge Bridge and offers a new state-of-the-art amusement center. After training and practice for the tour, you and your guide drive to the parking area at The Royal Gorge Bridge & Park and ride across the bridge and throughout the park. 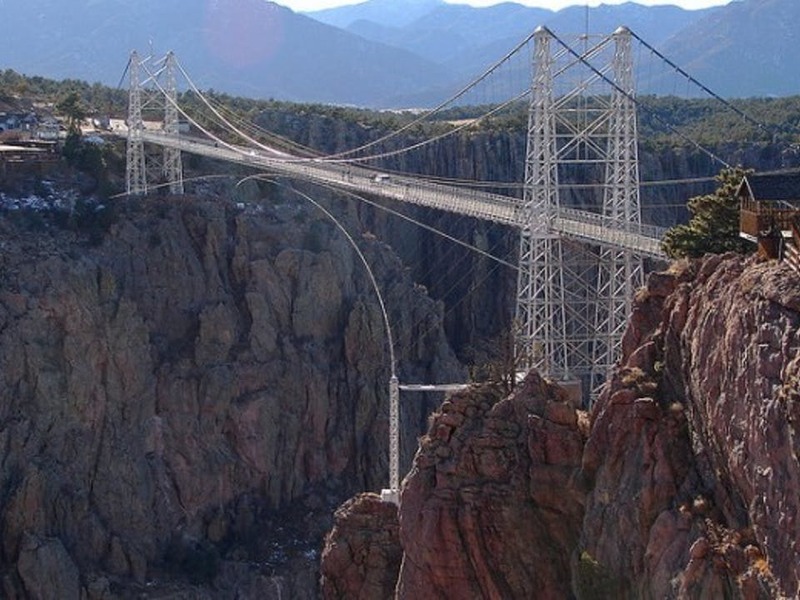 Admission is included in the price of the tour, so you are welcome to stay and enjoy The Royal Gorge Bridge and Park for the rest of the day after your tour! 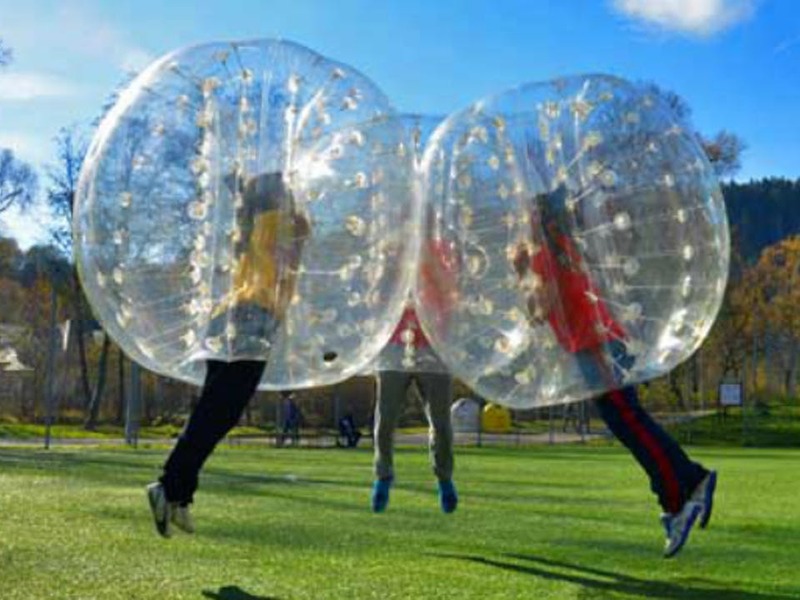 Only $89 per person for 90 minutes of fun. The Skyline Drive SEGWAY PT Tour is on a one-way scenic road that borders Canon City, Colorado and Highway 50. After a training and practice session, you’ll be dropped off at the entrance of Skyline Drive. From there, the SEGWAY PT Tour climbs up approximately 800 feet and three miles along the top of the Dakota Hogback mountain ridge. before descending down the mountain for a ride through town and a cruise down Main Street, stop at the dinosaur trackway exhibit and enjoy the sprawling view of Canon City. This trip is only $79 per person for 90 minutes of fun and, with “Old Max,” The Colorado Territorial Correctional Facility, the Prison Museum, The Royal Gorge Route Train Depot, and Centennial Park along the route, this adventure offers thrills and history at every turn!